Test and Adjustments: What is best, regular tests or regular adjustments? How often should the density meter be tested or adjusted, with which substance? Which tolerance should be applied? Samples: Which types of sample can be measured with a digital density meter? Which are the difficult samples and how to measure them? What can be the effect on the measurement? Sampling: Difference between sampling with a syringe and with automatic filling system. How to avoid air bubbles? Cleaning: How should the cell be cleaned, depending on the sample? Which solvents should be used? What is the effect of improper cleaning on the measurement accuracy? 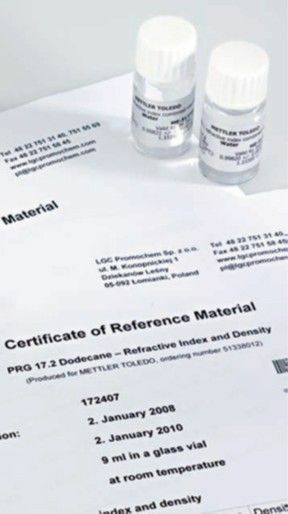 Result verification and documentation: How to make sure that the measurement has not been affected by air bubbles or remaining solvent? How to convert the result in other units or concentrations? How to automatically verify if the result is within product specification (Quality Control)? The commonly held opinion that frequent adjustment of the instrument guarantees accurate results is not true. Any adjustment operation results in changes being made to the internal instrument settings. If the adjustment is not properly performed, all the measurements performed afterwards will be wrong. Instead of frequent adjustment, it is better to regularly verify the measurement accuracy of the system by measuring a sample of accurately known density (e.g. distilled water or a standard) which is called test, calibration or check. Then the measured density is compared to the known nominal value of the sample. See how to run a test with a standard to check if your density meter or refractometer is still working properly. Be careful when measuring viscous samples and make sure that the samples do not contain air bubbles when you introduce them into the measuring cell. 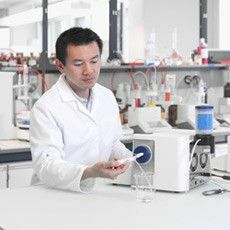 It often helps to warm the sample in a closed vessel and to allow it to stand for a few minutes before the measurement. The viscosity of the sample decreases on warming and air bubbles can more easily escape. The shear forces that arise when viscous samples are measured in the measuring cell can lead to inaccurate results. The value of the density displayed by the meter is then usually too high. 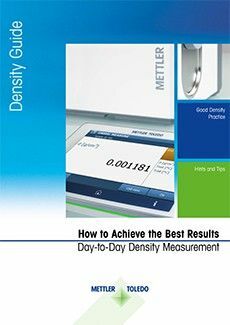 All METTLER TOLEDO DM Density Meters are able to automatically correct the sample viscosity measurement error. If your density meter has such viscosity correction, you should always switch it on if you want to obtain the best possible accuracy for samples with a viscosity greater than 25 mPa·s. METTLER TOLEDO SC1 and SC30 automation units are able to handle samples with a viscosity of up to 30’000 mPa·s (which equals approximately liquid honey). For samples which have a higher viscosity or which are even solid at room temperature (e.g. paraffine) the heated versions SC1H and SC30H can be used. Manual sample handling with a syringe is always operator-dependent, which means that it is error-prone, difficult to reproduce, and time-consuming. Make sure that your operator is properly trained and injects the sample in a reproducible manner. Make sure that the sample comes out of the cell at least an extra 10 cm, so that contamination can be pushed out and only new sample is left in the cell. Fill the measuring cell at a slow speed and with a laminar flow (5–10 cm per second) to ensure complete wetting of the cell walls (no trapped bubbles along the walls). Make sure that no air is entrapped in the syringe. The plunger has to be pressed slowly and continuously without stopping. 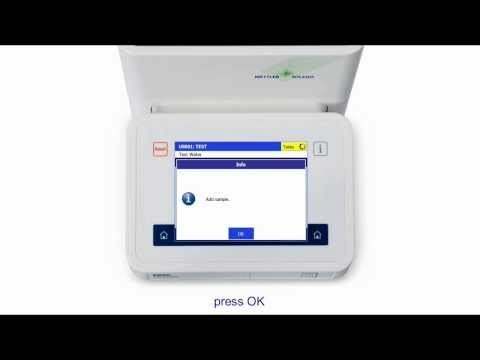 Switch from syringe to SC1 automation to improve your density measurements. Increase accuracy and avoid operator dependent results. 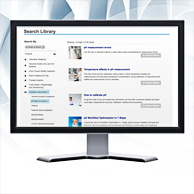 Deposits of previously measured products are not always visible. For example, if products containing oil or fat are measured, the measuring cell may be coated with a very thin film of oil. T o prevent this, the cell should be cleaned with suitable rinsing solutions (as described later) and dried - preferably after each measurement. If all measured samples are of a similar kind and able to dissolve the residues in the measuring cell (e.g. 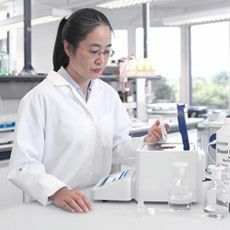 when the density meter is used to measure different juices), it is also possible to do a large over-sampling with the new sample to ensures a complete removal of the old one (“analytical rinse”). Immerse the sampling tube of the pump in the sample, then remove it so that air is sucked in the tube (~2–3 cm air in the tube) and immerse it again in the sample. Repeat this procedure approx. 5 times before the cell is filled for the measurement. This ensures that the old sample is properly flushed out of the cell. Verify the procedure to make sure that the required repeatability and limit of error are maintained. Measure the most critical sample first (for instance, the one with the highest sugar content) followed by deionized water then repeat this step a couple of times. If for instance sugar containing products are measured, make sure that the cell remains filled with either sample or with water between measurements to avoid the sample drying out and crystallizes sugar on the cell walls. Completely clean and dry (as described below) the measuring cell at least once af ter each working day.